Here at Naturalake Biosciences, promoting a healthy environment is more than just a profession; it’s a passion. We dedicate our time and resources to studying and solving a whole spectrum of lake and pond problems. While our state-of-the-art biological laboratory is always researching new treatment methods, sometimes we want to get a little more hands-on. 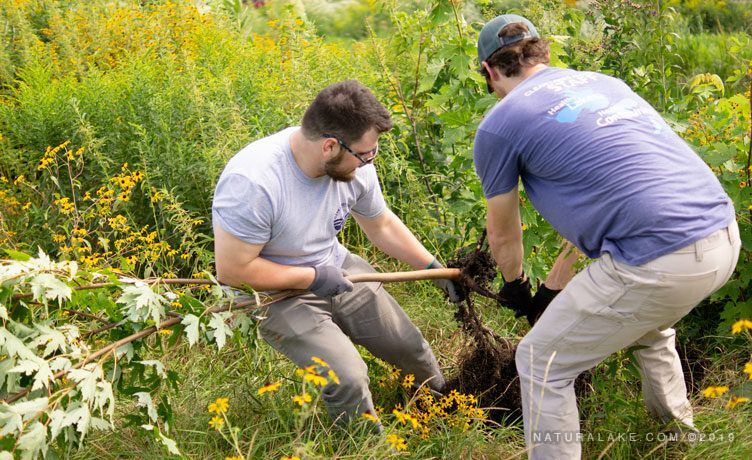 The whole Naturalake Biosciences team decided we wanted to find an opportunity to get out and help improve the quality of the world around us. It’s no secret that Naturalake Biosciences loves to collaborate with our peers on the journey to safer and cleaner water. This time around, we looked outside the lab setting where we found Clean Lakes Alliance. 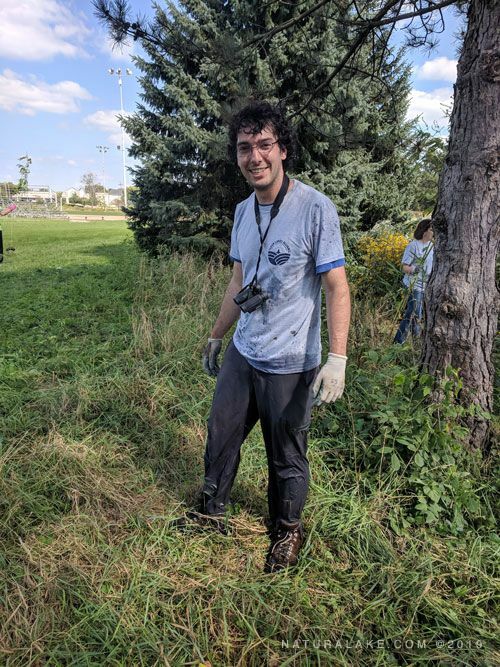 Like our team, they also devote their time and resources to improving the world around us, and they offer great opportunities for other organizations to help out and volunteer in local lakes and streams. 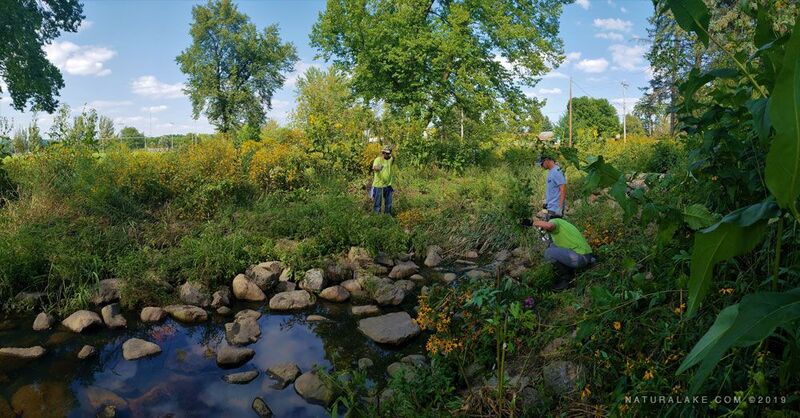 With their guidance we successfully completed removal of piles and piles of invasive species and litter in Warner Park along Castle Creek in our home of Madison, WI. 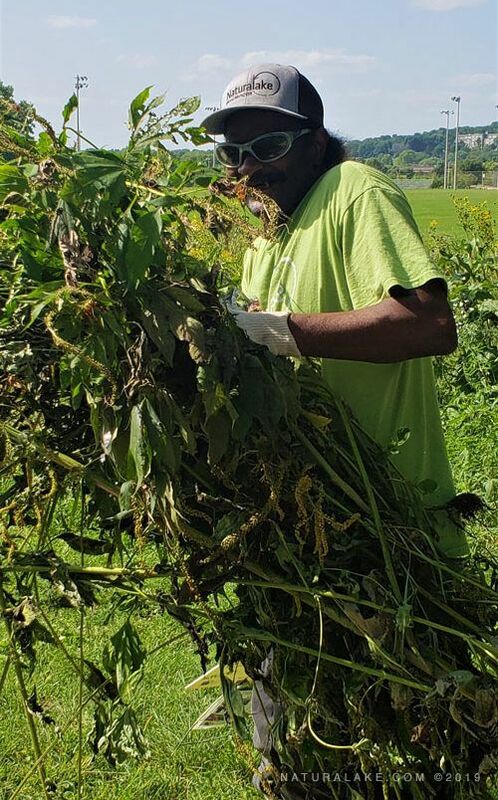 Everyone did a great job pulling and cutting Canadian thistle, giant ragweed, burdock, yellow clover, and other woody debris. More than just a good volunteer opportunity, removing invasive species like this is essential for continued health of waterways. The work we did will help rebalance the natural ecosystem and reestablish natural cycles. It will also minimize erosion and runoff into our lakes, and open up more areas to recreational use. It was also a great opportunity to spend a beautiful afternoon with our Naturalake Biosciences team out in the environment we work so hard to better each day. We all had a great time working together to preserve our natural resources, and look forward to more opportunities like this in the future! Want to see more photos from our day with Clean Lakes Alliance?